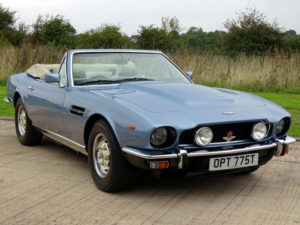 Six Aston Martins Surface At H&H Classics Car Sale Imperial War Museum Duxford On October 12th. "The Aston Martin DB2/4 is a sports car with a very definite appeal. 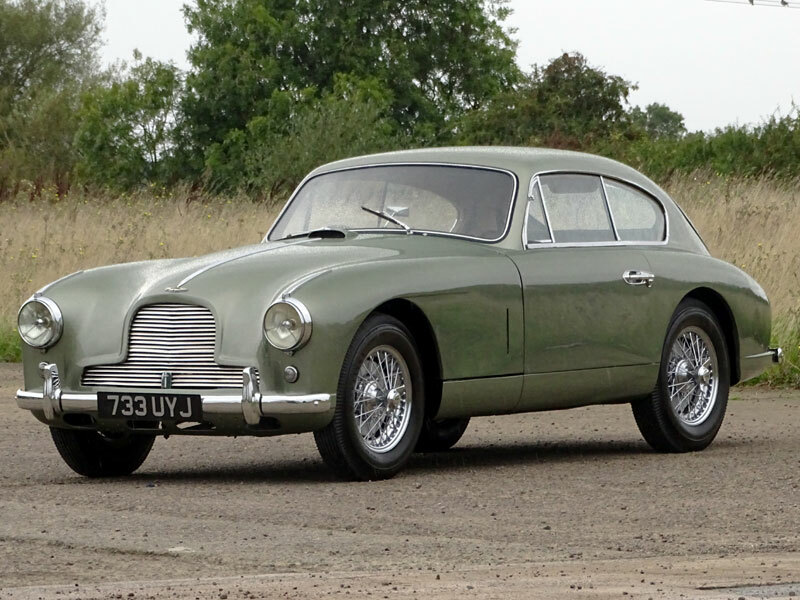 It has full saloon car comfort, coupled with performance and roadholding of a very high order" (Autocar Magazine) Introduced at the October 1953 London Motor Show, the DB2/4 represented a new breed of longer-legged, more accommodating Aston Martin. It was some seven inches longer and a little taller than its predecessor with enough room for two small seats to be positioned above the back axle. Visually distinguished by a one-piece windscreen and rear hatchback, the new model boasted such niceties as a telescopic steering column and adjustable backrests. Thanks to its 'Vantage' state of tune, the 2.6 litre unit was credited with developing some 125bhp and 144lbft of torque - outputs sufficient for a quoted 111mph top speed. Overshadowed by its racing DB3 / DB3S siblings, the model still enjoyed a successful competition career winning the team prize on the 1955 Monte Carlo Rally (interestingly, the factory also fielded a pair of DB2/4s for the Mille Miglia). Of the 565 MKIs made, just 448 are thought to have been two-door saloons. Migrating to America sometime after 1964, the 2+2-seater was discovered by its previous keeper in a Virginian barn during 2008. Dust covered and obviously immobile for many years, the Aston Martin was subsequently entrusted to Francis Warwick of the Lea Francis Co in West Palm Beach, Florida (Mr Warwick's outfit specialises in the restoration of British marques). The result of all this refurbishment was apparently 'Best in Class' and 'Exceptional in Class' awards garnered at various American concours meetings. Further enhanced since entering the current UK-based ownership, the past year has seen chassis LML/664 treated to an estimated £60,000 worth of expenditure by marque specialist Oselli. 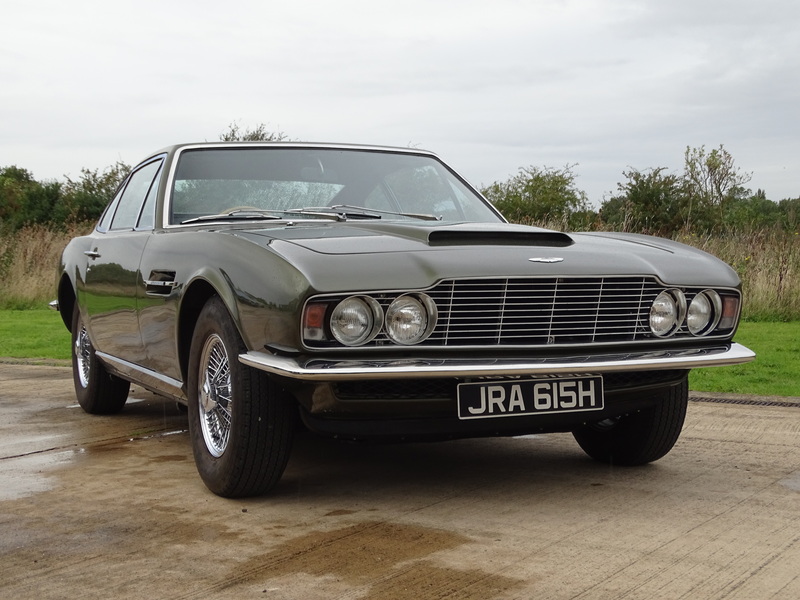 A 1969 Aston Martin DBS 'Vantage Specification' in Olive Green, is estimated to sell for £160,000 – 180,000. (Lot 115). Introduced at the October 1967 Motor Show, the DBS broke important new ground for Aston Martin and the newcomer was widely praised for its polished ride and handling. Reputedly capable of over 140mph just 787 are thought to have been made. A star of the small screen, chassis DBS/5436/RAC famously had an entire episode of Channel 4's popular TV series 'For the Love of Cars' dedicated to it. 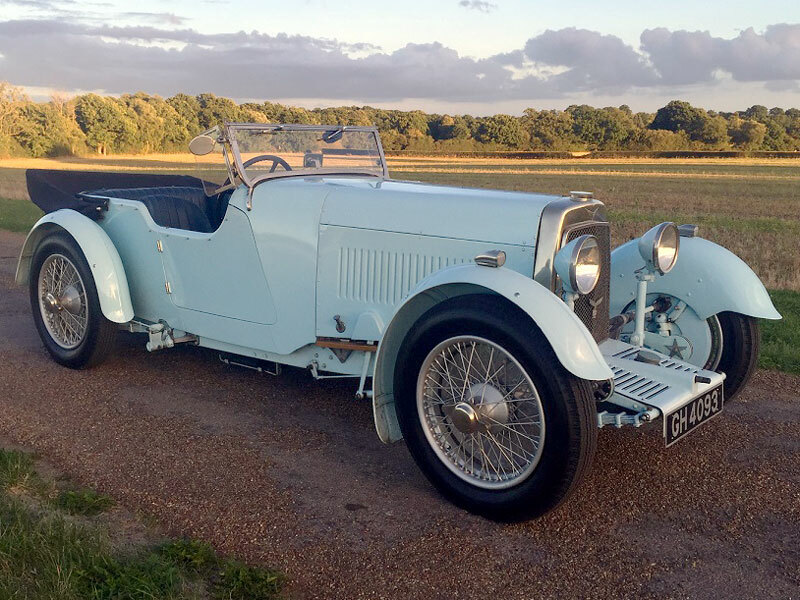 Overseen by Ant Anstead and his team at Evanta Motors, the restoration was completed within an almost impossibly tight timeframe. Stripped of its mismatched red and white paint, 'JRA 615H' underwent various chassis and bodywork repairs on a jig before being resprayed in Aston Martin Olive Green Metallic (the same hue sported by James Bond's DBS in the film 'On Her Majesty's Secret Service). Re-trimmed in contrasting Ox Blood Red leather upholstery, the interior also gained a refurbished dashboard, refinished wood rim steering wheel and new carpets. Entrusted to renowned marque specialist RS Williams, the original DOHC straight-six engine was enlarged to 4.2 litres and uprated to Vantage specification with triple Weber carburettors. To make better use of the increased power and torque on tap, the decision was made to convert the Aston Martin from automatic to Tremec T5 manual transmission. Other enhancements included the fitment of new MWS 15-inch wire wheels shod with Pirelli Cinturato tyres, Koni rear shock absorbers and higher performance brake pads. Like many of us who watched the programme, the vendor took quite a shine to the reborn 'JRA 615H' and paid some £173,400 to acquire it in January 2015. Although the DBS looked stunning, he felt that a marque specialist with proven experience of the model could improve it still further and so instructed Oselli to work their magic. Some £78,000 later, the Aston Martin has been debugged and fine-tuned to the seller's satisfaction! 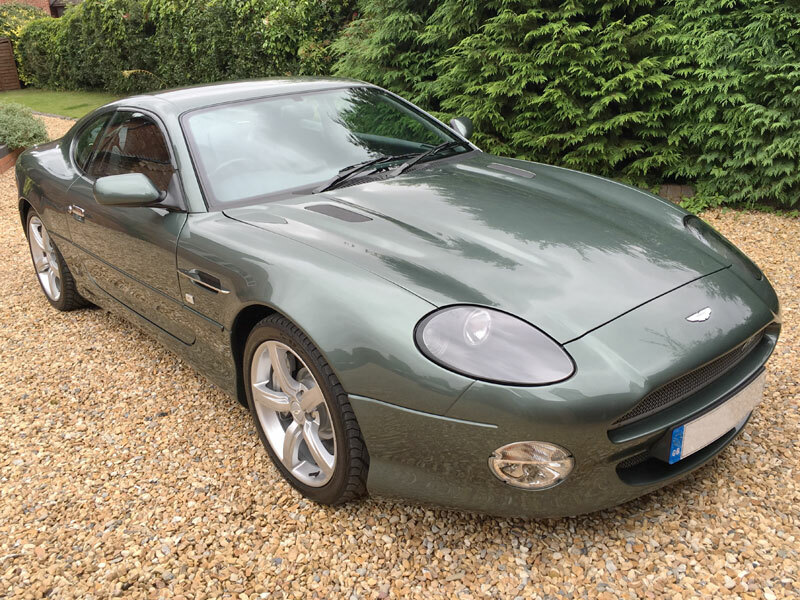 Now every bit as good as it looks, this famous Aston Martin is offered for sale with UK V5C Registration Document, MOT certificate valid until August 2017 and history file. Launched at the October 1978 Birmingham Motor Show, the Fourth Series V8 boasted a re-profiled 'power bulge' bonnet, subtly integrated rear lip spoiler and GKN alloy wheels. The Tadek Marek designed 5340cc DOHC V8 engine was fed via quad Weber carburettors. Thus equipped, Autocar magazine found the model to be capable of 146mph and 0-60mph in 7.2 seconds. Cementing its Grand Tourer credentials, the model featured a smart burr walnut dashboard / door cappings and could be had in Fixed-Head or Convertible guises. Total carburettor-fed V8 Volante production amounted to just 439 cars (though, the American market accounted for the vast majority). According to its accompanying British Motor Industry Heritage Trust Certificate, this particular example - chassis 15075 - was completed on 1st May 1979 and dispatched to Reg Vardy Ltd some eight days later. Acquired by the vendor with service and maintenance bills from Aston Martin main dealers and specialists that apparently totalled nearly £50,000 not to mention over 150 photographs detailing work done, the car has since been treated to a re-spray in its original Tourmaline Blue and had its interior trim smartened etc. 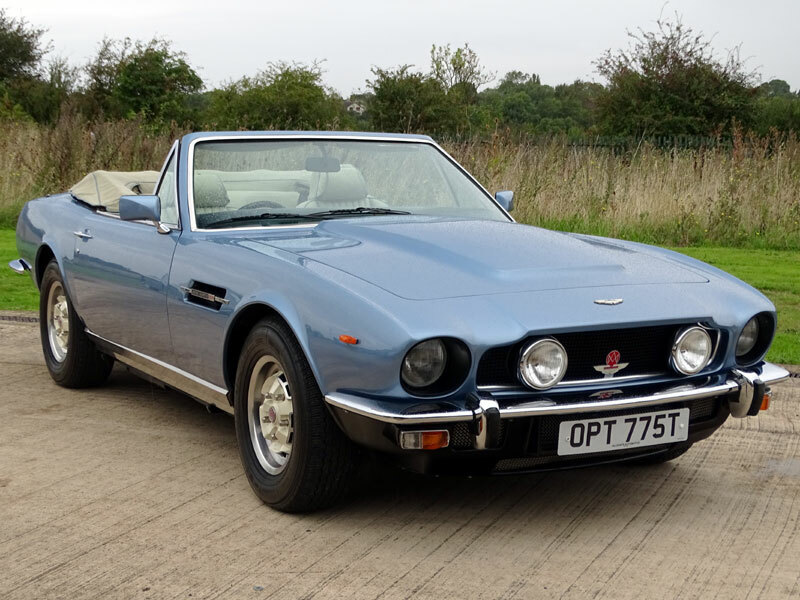 Highly presentable and reportedly mechanically well sorted, this rare right-hand drive carburettor-fed V8 Volante is offered for sale with BMIHT Certificate, original handbook, brochure, fresh MOT certificate and extensive bills / invoices dating back to the 1980s. It also comes with its original automatic transmission should a new owner wish to reinstate it. One of just 60 UK supplied examples (from a total production run of 112 cars) it features a six litre V12 engine rated at 420bhp / 400lbft, five-speed 'Touchtronic' automatic transmission. Manufacturer claimed 0-60mph in 5.1 seconds and 165mph (limited). It is reportedly one of just four finished in this Chiltern Green colour. According to the vendor, the immaculate GTA is '100 percent original' and has covered just 23,227 miles from new - a fact supported by the car's full service history. The last full service was carried out in 2015 but the front brake discs and pads have been replaced as recently as July this year. Finished in Metallic Green and trimmed in Black leather, the car is one of just 60 such home market examples from a total run of 112 cars, and reputedly one of only four GTAs finished in this discreetly-elegant colour. Damian Jones says: “This is a British classic to savour and, at 23,227 miles, is barely run in. Complete with Sat/Nav and MOT into September 2017 it represents a rare opportunity to acquire a princely example of one of the last of the V12 DB7s.” The all-new DB7 made its debut at the 1993 Geneva Salon where its svelte lines and attractive specification caused quite a stir. By the time it was replaced by the DB9 more than 7,000 examples had been manufactured - by far the highest production figure for any Aston made to that date. The V12 GT and GTA (when equipped with automatic transmission) versions of the V12 DB7 were introduced in 2002 and were essentially improved versions of the Vantage. 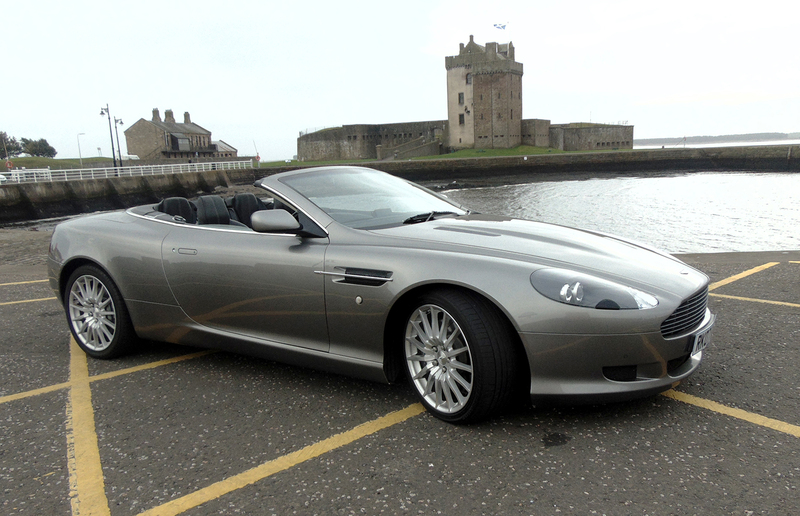 Lot No 55 2007 Aston Martin DB9 Volante in Gunmetal Grey is estimated to sell for £40,000 to £50,000.